Note: this discusses a little bit of the current season – so possible spoilers if you haven’t been watching. “Meanwhile, Pakistani immigrant Dinesh spectacularly screwed up both a CEO position and a relationship—the entire point of his character is that he’ll never be as smart or as savvy as Gilfoyle. (For proof of this, look no further than their tiff on last night’s episode, which Gilfoyle won simply by maintaining that he did.) Chinese immigrant Jian-Yang is written as even less smart—his big pitch this season was a collection of eight octopus recipes—and the developer’s greatest achievement thus far has been cheating Erlich out of a year’s rent by taking advantage of a loophole meant to help the unfortunate. Dinesh and Jian-Yang might be just as brilliant as their counterparts, but Silicon Valley never shows it. I’ve been living and working in Silicon Valley since August 1999, and I have never met someone who acted like Jian-Yang. And I’ve also worked for Chinese companies and worked with a lot of Asian and Asian Americans. I must admit, I don’t think I’ve met anyone like Erlich or Gilfoyle, but at least those characters are not, I believe, based on any racial stereotypes. So it’s interesting to hear that Yang came up with the character. Yang came over to the U.S. from Hong Kong when he was 13. Maybe he’s not as familiar or as offended to a Long Duk Dong character (well, Jian-Yang isn’t that bad). Still, not a big fan of the character and hope Jian-Yang evolves as the show progresses. For the most part, I think Dinesh’s character has been treated fairly, except for the fact that Gilfoyle often antagonizes Dinesh for not having a girlfriend or friends (except that he does in Season 3 for part of the season). However, I was really disappointed to see that Dinesh wasn’t CEO of Pied Piper for more than an episode – I really liked seeing the cocky, arrogant, self-assured – should I say, white-washed Dinesh being portrayed. 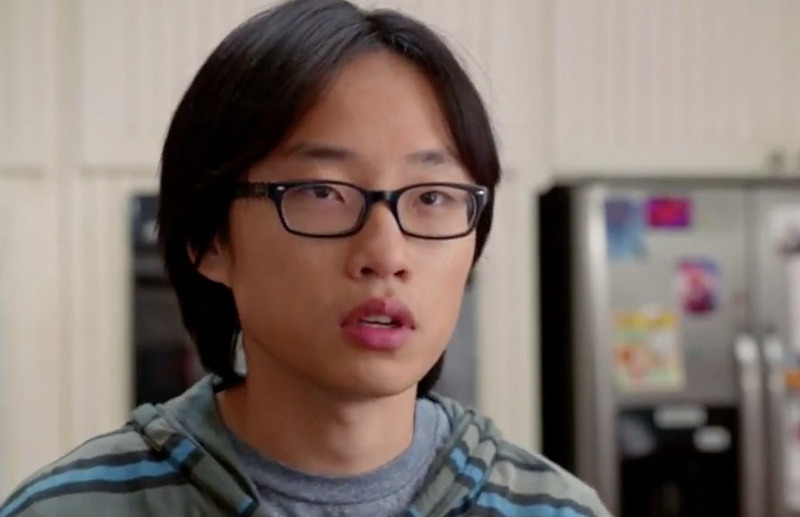 I don’t know how many more seasons Silicon Valley can go for (it’s been renewed for it’s fourth season already), but I really do hope that the show can develop Jian-Yang into a more realistic, but also still funny character. Why are Asian American Films Bad? One, the mainstream hardly knows any Asian American films. Two, most Asian Americans don’t even watch these APA films. And if one does know these films, he or she is probably in connection to the said actors and film makers who made the films and in this small Asian American film community, it is not recommended to piss off your fellow Asian peers even if you want to point out a valid criticism. Trust me, our community can be incredibly touchy when it comes to anything but praise for our fellow countryman’s works. Author EdwardPosted on April 12, 2012 Categories Entertainment, Movies, ObservationsTags asian american films, asian americans, Entertainment, mediocrity, Movies, tv11 Comments on Why are Asian American Films Bad? With his new HBO show, Angry Boys, Australian comedian Chris Lilley is following the grand politically incorrect tradition of Chapelle’s Show and Da Ali G Show by skewering pop culture and testing audience’s offensive threshold when it comes to tackling portrayal of race. It’s just a couple of days before the season premiere of Glee (on April 13th to be exact) and I, like millions of others, am more than ready for the TV-meets-musical phenomenon. A couple of weeks ago, Entertainment Weekly TV writer Michael Ausiello said that Glee is casting a character named Amelda, a “fiftysomething Filipina or Hispanic actress” to play Sue Sylvester’s maid. Let’s just forget the fact that there is an element of stereotyping with this casting call. For one, Sue (the arch nemesis of the show) is already the most politically incorrect cheerleading coach on the face of the planet. The audience already hates her – so it’s expected. Secondly, Jane Lynch does a brilliant job slipping into the tracksuit of the acerbic Sue. Thirdly, if we spent all of our time dissecting all the culturally sensitive items in this show, we would be here for a long, long, long time – so let’s just enjoy the fun musical numbers on the show! Nonetheless, if the producers of Glee still haven’t found someone to fill the role of Amelda, I took the liberty to compile a list of Filipina singers/actresses who would be perfect. However, I have taken the detail of “fiftysomething” out of the equation. Asian people don’t age, so that detail is irrelevant. Lea Salonga: You can’t mention musicals without throwing in Lea’s name. She was the original Kim in Miss Saigon and she was Jasmine’s singing voice in Disney’s Aladdin. Any time the topic of music-oriented Filipinos comes up, you have to mention Lea Salonga. I think it’s a law. Jocelyn Enriquez: I could see it now: a high-voltage choreographed number whilst the Fil-Am queen of dance-pop belts out her hit, “Do You Miss Me” – with a feather duster. Deedee Magno: She’s also taken center stage as the lead in Miss Saigon and was in the Mickey Mouse Club-produced pop group, The Party (I have their first album on cassette). I can totally see her in a love triangle with Artie (Kevin McHale) and Tina (Asian American actress Jenna Ushkowitz) to Brandy and Monica’s classic R&B man battle tune “The Boy is Mine”. Pinay: The all-girl R&B group originally consisting of Angelica Abiog, Irma De Los Santos-Lazamana, Loredie Lugos and Maylene Briones were cut from the same cloth as En Vogue. Rather than a single maid, their rich harmonies would represent a housekeeping quartet of Filipina soul. They could so get down with Glee club resident vocal powerhouse Mercedes (Amber Riley). Joyo Velarde: Ever since I saw this hip-hop soulstress perform at SXSW, I was hooked. I think I have a crush on her. Besides that, I could definitely see her as a sassy maid that would spike Sue’s protein shake with a laxative. I also envision another high-production number that will specifically hone in on the pop-locking skills of the Glee member known as “Other Asian” (a.k.a. LXD member Harry Shum Jr.). It’s TV pilot season, which means the networks are loading up on new projects they’d like to pursue in hopes of finding the next hit series. Since I work in TV research, I hear pilot news on a regular basis. Every day, I hear about this actor or that actor signing on to star in this new show or that one. Guess what? Not a single lead actor is Asian or Asian American. * Yes, I am elated that Daniel Dae Kim has found life after Lost, but he’s technically in a supporting role to Alex O’Loughlin. And there aren’t many other Asian Americans in the dozens of pilot projects currently in development: a minor role here, a minor role there. It’s the same as always. I applaud the producers of Undercovers for being able to look beyond race, so they could cast purely based on chemistry and how the actors fit into the roles. (Of course, it doesn’t hurt that Mbatha-Raw and Kodjoe are both gorgeous.) I’m happy for all these actors; since I am not familiar with most of them or their work, it’ll be a pleasure to see some fresh talent on the small screen next season. I just wish that Asian American actors could take part in what looks like a breakout year not just for new actors, but actors of color. * Is Iranian considered Asian? ABC ordered a pilot called Funny in Farsi, based on the memoir by Iranian American Firoozeh Dumas. Iran is geographically in Asia but Persians are racially Caucasian. I’ll leave this up to you guys to figure out. I’m not one to read or believe tabloids, but if this news is true, I’ll be thrilled. Radar reports that Jon & Kate Plus Eight “will officially end in mid to late November” because “sources outside the network [say] that there is just enough unused new footage to take them through about another month.” We already know that Jon is out of the picture, but since he is no longer giving TLC his permission to film the children, the proposed new show, Kate Plus 8 will not go forward, either. I suppose it doesn’t stop TLC from doing a show called just Kate No 8, but we all know that the 8 part-Asian kids were really what brought the viewers in. Nonetheless, I’m glad that it means that we can start to forget what “J&K+8” stands for and look back on it as a footnote in reality TV history. iPod Nano Commercial Video Camera from Harry Shum on Vimeo. It’s Wednesday night, which means it’s Glee night! In honor of my favorite new show of the season, I’d like to give a shout-out to Harry Shum, Jr.
We haven’t seen him– or rather his character Mike Chang– too much yet, but according to IMDB he is appearing in at least 9 episodes this season. I’m hoping they’ll do a little more character development on some of the newer members of the McKinley HS Glee Club soon, but until then, I’m glad to see this talented guy singing and dancing in the background. If you think Harry looks familiar, then maybe it’s because you’ve seen him in any number of other incarnations– as a member and choreographer of the Legion of Extraordinary Dancers (The LXD), as a recurring guest actor on iCarly, as a dancer in Step Up 2, or any number of iPod commercials. Not only is Harry in the newest iPod nano commercial (he’s silver/grey in the video above), he was one of the original “silhouettes” in the highly successful Apple iPod commercial and print campaign. Harry’s resume is extensive and impressive, and I’m sure we’re only going to see more of him! And I love her even though she’s seriously messing with my fall season TV mojo. The thing is, I’m really trying to limit the number of new shows I get into this season. Originally, I only had Glee and Three Rivers on my list, but now I have to add Stargate Universe (SGU), too. SGU is a military science fiction television series– part of the Stargate franchise– which debuted last night on Syfy (let’s not talk about the stupid re-branding of this cable station… whatevs!). The show follows the adventures of a present-day, multinational exploration team on board the ancient spaceship Destiny that is stranded in a distant corner of the universe and unable to return to Earth. Ming-Na is part of the regular cast as Camille Wray — the first regular Asian-American lesbian character on a TV series. [Camille’s character] is an International Oversight Advisory (IOA) accountant who becomes the highest-ranking IOA member left stranded on the ship. She has “a false sense of importance and superiority to the other military and civilian population along with a stubborn way of asserting it”… She is the first openly gay character in the Stargate franchise. Her long-time partner back on Earth, Sharon, will first appear in “Life” in a possibly recurring role. There was a lot of misunderstanding, because when you get a breakdown, it’s never what the end product is—at all. It was an eye opener because I did see the passion from the lesbian community. I wish my own community, the Asian-American community, would be as passionate about stuff. I really respect that. I think the producers were definitely aware of it and then they tried to correct some of the wrong impression that was made based on the breakdown. And to me, it was just truly an incredible episode. I’m kind of nervous about just watching the outcome –not what the reaction is – because I think once you watch it you’ll realize that it’s about what we take for granted and if that is stripped away from us, how do people deal with what they’ve lost? I’d add “role model” and “kickass rockstar” to that list. Hooray to Ming-Na for depicting an Asian-American lesbian character– giving visibility to an often invisible community (she didn’t find out the character was lesbian until after she was already cast). I’m looking forward to watching her character develop on SGU. If you missed the premiere episode, catch it for free on iTunes or at SyFy Rewind. Watching TV on a Sony Bravia HDTV can improve my Chinese? Justin Timberlake chimes that the more sports you watch on a Sony, the better you get at sports (while playing a mean Forrest Gump-like match of table tennis with quarterback Payton Manning). A claim like this is actually somewhat plausible — especially watching individual sports like golf or tennis. However, Manning then claims that watching HD on a Sony has also improved his Chinese in Chinese. Now unless Manning is watching a lot of Ni Hao, Kai-Lan, I have a hard time believing that a product from a Japanese consumer electronics manufacturer such as Sony will improve my Chinese. And Timberlake’s Chinese is just God awful – is he even trying? His feeble attempt at Chinese is almost as bad as Rosie O’Donnell’s (okay, maybe not that bad). Chinese can be a difficult language to learn, especially given its tonal nature as well as learning Chinese characters. I have to imagine that had Manning and Timberlake claimed that watching a Sony would improve their linguistic abilities with another Indo-European language besides English, the commercial just wouldn’t be as funny. I have to admit, I thought the commercial was funny. And Timberlake can be quite the comedian. But I have to wonder, are we going to see more Chinese and Chinese families being the comedic twist in commercials, television and movies as China and Chinese language grows in global prominence and popularity? If watching HDTV can improve my Chinese, I should be completely fluent by now! Personally, my favorite Sony Bravia TV ad was an ad of bouncing balls in San Francisco that was ironically only aired in Western Europe. Author JohnPosted on September 29, 2009 Categories Observations, Technology, TVTags advertising, chinese, commercial, consumer marketing, electronics, golf, HD, JT, Justin Timberlake, language, Ni Hao Kai Lan, Payton Manning, ping pong, Sony, tv2 Comments on Watching TV on a Sony Bravia HDTV can improve my Chinese? Because I love geeks and because I love geek humor even more, one of my favorite TV shows is The Big Bang Theory on CBS. Last night, Season 3 started with our scientist heroes (Sheldon, Leonard, Wolowitz, and Koothrappali) returning from a research expedition to the North Pole. Did you see the episode and catch this line? What did you think? In “Three Rivers,” Daniel plays Dr. David Lee, “a womanizing surgical resident who’s broken as many hearts as he’s replaced.” Hopefully, this means lots of hot, steamy bedroom scenes with Daniel!